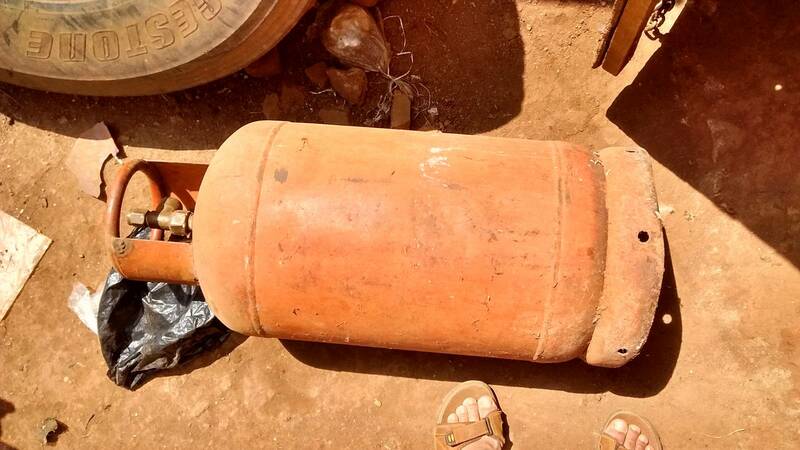 Such gas bottle can be cut in pieces and 2 drums could be made out of the cylinder. Yet the metal wall is not as thick as we would like it. We do not know if it is worth trying for US $19.22 how much the scrap dealer asked us that day, or approximately 70,000 Ugs.